Former standout member of the men’s varsity soccer team Christopher Boehning ’87, ’88 (MS) and his wife, Julie, have made a leadership gift to University of Rochester Athletics. A new varsity house will take the Boehning name in recognition of the family’s generous support. 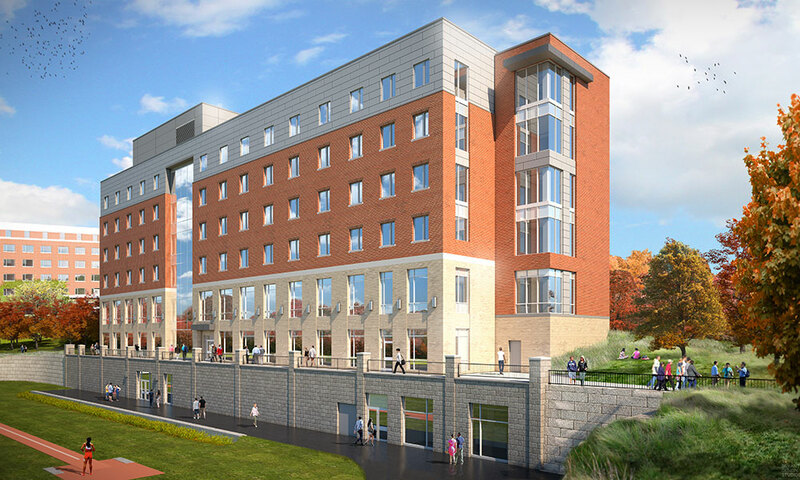 The Boehning Varsity House will occupy the field level of Genesee Hall, the University’s newest residence hall on the south end of Fauver Stadium, and will include new locker, sports medicine, and equipment rooms for the University’s outdoor sports teams. Currently, all the outdoor teams share space in Fauver Stadium, which is almost 90 years old and was not built to accommodate both men’s and women’s teams. The Boehning Varsity House is the latest addition to the Brian F. Prince Athletic Complex established in 2014. The projects reflect an ongoing effort to improve the University’s athletic facilities, which began with an extensive renovation of the Robert B. Goergen Athletic Center in 2000. Both the University and the Boehnings see athletics as a key component of the undergraduate experience. 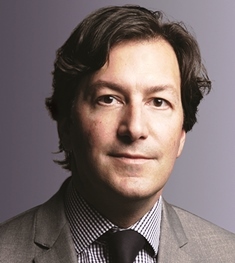 A partner at the law firm of Paul Weiss Rifkind Wharton & Garrison LLP in New York City, Boehning chairs both the Athletic Campaign Committee and the Arts, Sciences & Engineering National Council, and is a member of Friends of Rochester Athletics. He and Julie also provide ongoing support to Rochester Athletics through the George Eastman Circle, the University’s leadership annual giving society. A dedication ceremony for the Boehning Varsity House is scheduled for Meliora Weekend in October.